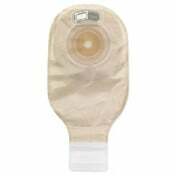 The Hollister Premier One-Piece Drainable Ostomy Pouch incorporates all the latest technology to keep your skin protected with the convenience of a one-piece system. 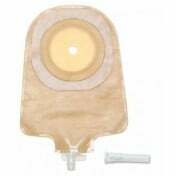 Many choose a drainable pouch style because the stoma output tends to be liquid and doesn't need to be changed as often. 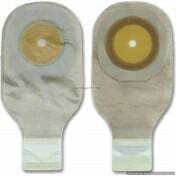 In addition, selecting a one-piece ostomy system means that the bag and the adhesive wafer or skin barrier is one unit. This allows for a lower profile making it less intrusive and easier to wear under clothing. Since both pieces are joined, it takes out the worry of it ever coming apart. 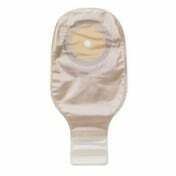 The Premier One-Piece pouch is latex-free and features the soft convex CeraPlus skin barrier that uses Remois technology for extended wearing. This technology integrates ceramide, a natural compound found in skin to regulate water loss. 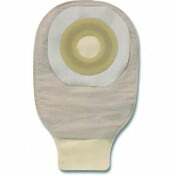 It allows the barrier to maintain its adhesive properties while protecting the skin's moisture barrier to promote healthy peristomal skin. 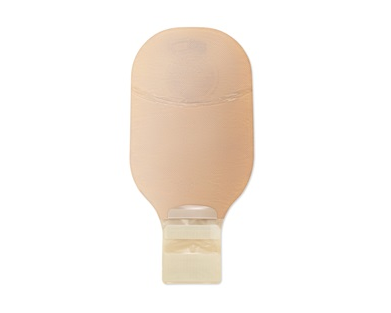 Another important design component is the Lock n' Roll microseal closure found at the bottom of the one-piece pouch. The Lock 'n Roll has interlocking fasteners for a locked, confident closure that you can feel as you snap outer edges together. The closure will secure even when it's wet. 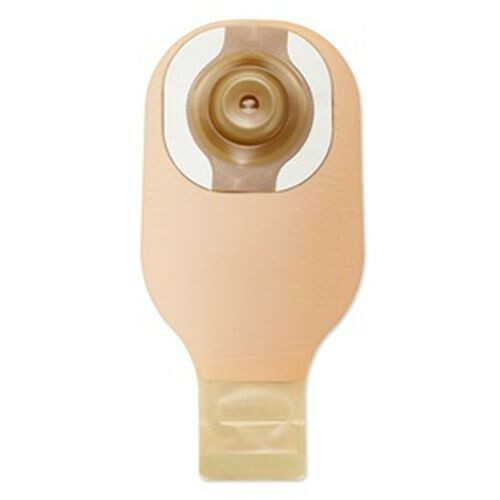 When ready to empty, the AF300 filter ensures a slow release with deodorizing component to defuse the gas coming from the pouch. 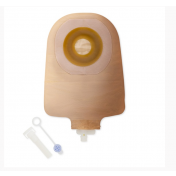 The Premier One-Piece Drainable Ostomy Pouch is available in cut-to-fit or pre-sized openings. 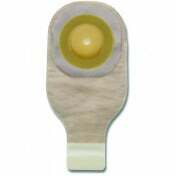 The pouches are beige with clear areas for stoma and output observation. 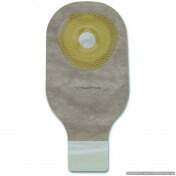 It comes equipped with belt tabs that permit easy attachment to an ostomy belt.